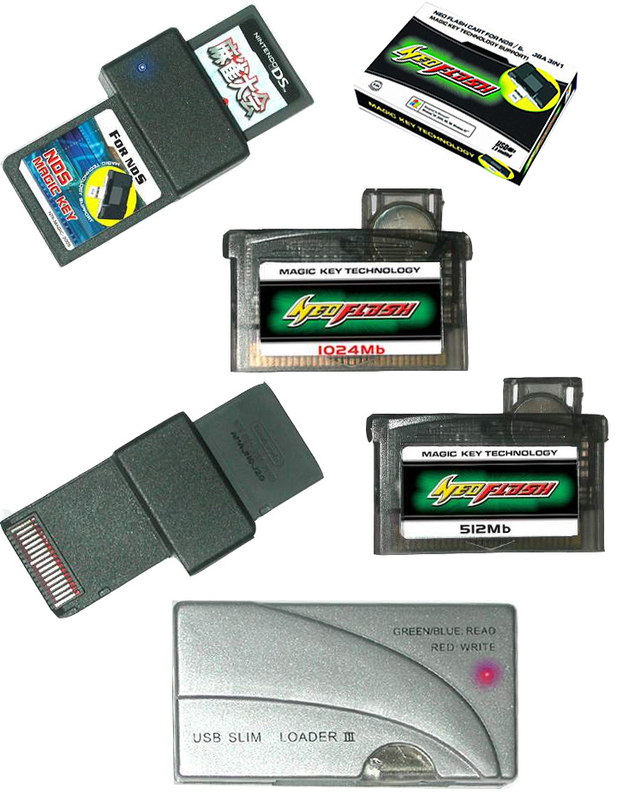 The NeoFlash was the first solution to booting commercial image dumps on the Nintendo DS. Both a 512Mbit and 1Gbit cart are available. The NeoFlash is known for its high price point and lack of features. The first thing I did was install the NeoFlash v1.1 drivers and software available on NeoFlash.com. I then plugged in the Slim Loader III into my computer. The drivers are installed with the NeoFlash software and are kept in C:\NEO Power Kit\USB_Driver. Simply point your hardware install wizard to this location to complete installation. This was extremely easy and the NeoFlash software recognized the cart on the first attempt. After installation I decided to check the NeoFlash's DS booting ability first. I took a clean DS image and dropped it on GST's Universal image patcher. It is required that all images be patched prior to loading them to the NeoFlash. GST's patcher does not require installation, just unzip it and drag and drop a clean image onto the program. The program results in two files. One labeled GBA_Save and the other NDS_Save. This gives you the choice of saving to a DS game's internal memory (NDS_Save) or to the SRAM on the GBA cart (GBA_Save). Inserting the flash cart into the Slim Burner III takes a bit of jiggling. It works best when you angle the cartridge into the slot. I took the GBA_Save image and flashed it onto the GBA cart. The NeoFlash software is very simple. All you have to do is select "Add", browse to the location of the image, and then click "Burn". After a bit of testing I have found that the device writes at a little less than 1Mbit per second, which is a bit on the slow side. The hardest part of the install, believe it or not, was placing the battery into the flash cart. There are two small tabs that have to be pressed inwards and then lifted out. While this sounds easy in theory, it does not work well in practice. With my PassMe equipped with a copy of Mario 64 DS in place, the image on the flash cart loaded perfectly. I was able to play the game as if it were in the DS slot. I then tried to load the game with FlashMe instead of the hardware PassMe. I was surprised to see that NeoFlash does support patched images with the replacement firmware. 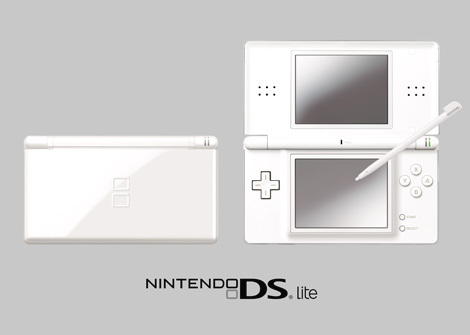 This is a definite plus, as I'm not a big fan of the large connector hanging out of the top of my DS. I then tried the NeoFlash GBA features. The included image selection menu software works fine, its no PogoShell, but does the job. A simple white backdrop with a list of available images and files. The NeoFlash works fine as a GBA flash cart, although its lacking some of the advanced features that we take for granted such as RTS (real time save), RTC (real time clock), internal save backup (SMS), etc. This cart is extremely bare bones. I also noticed that since GBA games use a common save area on the cart some games will overwrite other game's saves. For example, I loaded Breath of Fire 1 and Breath of Fire 2 on the flash cart. I then saved my game in BOF1 on slot 1 and 3, then I saved BOF2 into slots 1 and 2. Upon reloading BOF1 the save in slot 1 was gone, and only the save fimage slot 3 remained, it was overwritten by the other game. This could cause serious problems, so I would suggest that you only play one game at a time. The NeoFlash software can only backup the ENTIRE SRAM. Unlike other devices that can pick out individual saves, here you must dump all the data into a file. I had some trouble with this part of the process and had the program crash on me more than once while attempting to backup my saves. Not only did the program crash, it was then unusable after crashing. I was forced to uninstall the software, and hardware and do a fresh install. I have read other reports of this problem, but was unable to find a fix. After this I decided that it was better to use NDS_Save images, and use cheap DS games as a kind of "memory stick" rather than a game. Also, I have not used the device at all for GBA games because it simply does not have the features that make it useful as a GBA cart. Another annoying feature of the NeoFlash software are the BAT files to switch modes. Before the software is run you must switch the program to GBA mode or NDS mode depending on what system you want to play. There are two BAT files along with the main EXE for the software. In order to load GBA images onto the card you must double click the "GBA_Mode" BAT file, and then open the NeoFlash software. The same goes for NDS mode. Upon examining the BAT files I can see that all they do is change an INI file. delete "NEO Power Kit.ini" copy "NEO Power Kit_with_loader.ini" "NEO Power Kit.ini"
This could have been done by a drop down menu within the software, or with two different executables. Not a huge issue, but it seems a little bit unprofessional. The NeoFlash does work as a basic NDS/GBA backup unit, but it has many problems that can't be overlooked. Most notably is the poor SRAM support. While some users have reported that their cart will save and backup fine. Other, like me, have had no luck at all with saves. The lack of updatable firmware means that the fundamental problems with the cart cannot be fixed. Hopefully NeoFlash's next product: the much touted MK2/MK3, will fix the problems when it comes out. Stay tuned to ISO-420 for our full review.